The new SCUBAPRO Jet Fin Sport is according to the manufacturer a lightweight and comfortable fin for divers and snorkelers. The three-component structure is designed to provide an optimum of performance. The flow openings are provided to increase efficiency. The ergonomic footrest should be convenient and is equipped with buckles with quick release. 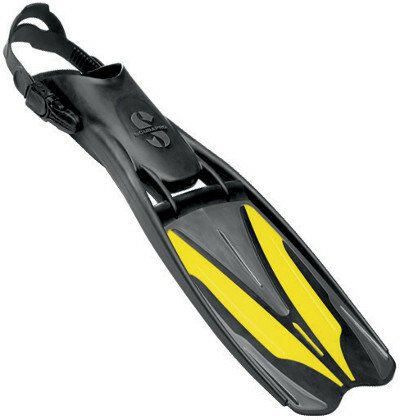 SCUBAPRO introduces the fin as an all-rounder for all divers and snorkelers. The JET SPORTS FIN is now available at authorized dealers at a suggested retail price of 75.00 euros in white, yellow, and blue, in sizes S to XL.